10 x Bayonet Ring Mount. AF-S DX Zoom-Nikkor 18-55mm f/3.5-5.6G ED I, II, and VR Versions of the lens. AF-S DX NIKKOR 18-105mm f/3.5-5.6G ED VR Lens. Give us a chance to make things right for you, and we will do our best to provide a fitting solution. 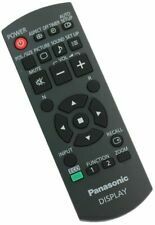 For For Panasonic SDR-H85 H86 H95 S45 S50 SDR-T50 T55 SDR-H101 S71. 1 x PanasonicLCD Flex Cable. This is our SOP, for us to be certain and for record purposes. We might require you to send us photo/s of the item received and also your original item so we can compare and conduct necessary actions. OLYMPUS E-1 digital SLR. OLYMPUS Item: VJ491700. United Kingdom. Rest of the World. CANON EF 400MM F4 DO IS USM (EF SINGLE) LENS RUBBER RING. MADE BY CANON. GENUINE SPARE PART. Modifications like sanding or lubricating the green solenoid will only last for a while. (1) IXUS 255HS. MADE BY CANON. GENUINE SPARE PART. ORIGINAL SPARE. CM1-8703-000-LCD PANEL-70. MADE BY CANON JAPAN. GENUINE OPTICAL UNIT. CARD SLOT PCB FOR CANON EOS 550D. MADE BY CANON. PICTURE OF ACTUAL ITEM. CANON EOS 1100D BLACK BATTERY COVER. DIGITAL REBEL T3. MADE BY CANON. ONE BATTERY COVER SUPPLIED PER SALE. GENUINE SPARE PART. MADE BY PANASONIC. GENUINE & ORIGINAL BATTERY COVER. ONLY ONE BATTERY COVER SUPPLIED PER SALE. Canon EOS 5D Mark III. Need to extra buy adhesive. NIKON BATTERY COVER S9500 BROWN BATTERY COVER. 636-164-6703-BROWN BATTERY COVER-N3. GENUINE PARTS. MADE BY CANON. PICTURE OF ACTUAL ITEM. THIS IS OLD PART NUMBER CG2 -2382-000 WHICH IS NOW DISCONTINUED BY CANON. CG2-2382-000-FPC AF UNIT -M10. MADE BY CANON. OLYMPUS OM-D E-M1 / E-M1 mk II - PBH Cover. OLYMPUS E-M1 & E-M1 mk II. Olympus item: VM848100. Rest of the World. Condition: NEW. MADE BY CANON. PICTURE OF ACTUAL ITEM. GENUINE ITEM. THE LENS WILL NEED TO BE DISMANTLED FROM THE CENTRAL POINT. GENUINE PARTS. PICTURE OF ACTUAL ITEM. MADE BY CANON. CM1-2521-000-LENS UNIT -N3. Original item, not a Chinese replica. - The item is not installed/used. - The item is intact. 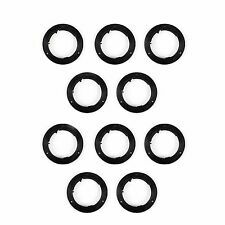 CANON EFS 24MM F2.8 STM FILTER RING ASSEMBLEY. 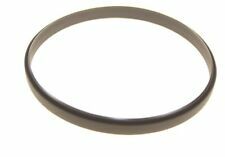 YG2-3508-000-FILTER RING ASSEMBLEY- L6. MADE BY CANON. MADE BY CANON. GENUINE PARTS. MADE BY CANON. GENUINE PARTS. PICTURE OF ACTUAL ITEM. MADE BY CANON. LOCATION O10. PICTURE OF ACTUAL ITEM. WITH CCD SENSOR. MADE BY CANON. CM1-2365-000 (NOW DISCONTINUED PART NUMBER)- LENS UNIT -N3. CANON EOS 5D MARK II DSLR MODE DIAL CAP. THIS MODE DIAL CAP HAS A ROUND HOLE IN THE CENTRAL PART OF THE PART. REQUIRES PROFESSIONAL CANON SERVICE CENTRE FOR FITTING. MADE BY CANON. IT HAS VARIOUS SETTINGS WRITTEN ON THE MODEL DIAL CAP. PICTURE OF ACTUAL ITEM. MADE BY CANON. MADE BY CANON. GENUINE SPARE PARTS. PCITURE OF ACTUAL ITEM. MADE BY CANON. NO BATTERY SUPPLIED. ZOOM BARREL. MADE BY CANON. GENUINE PARTS. EOS KISS X7i. CANON EOS 700D BLACK BATTERY COVER. EOS REBEL T5i. MADE BY CANON. L 9” (23cm) x W 1.6” (4cm). L 41” (105cm) x W 1/4” (7mm). Rings approx. 100% PREMIUM DARK BROWN LEATHER: Made from 100% genuine leather and finished to the highest quality. FOR THE DIGITAL SERIES CANON POWERSHOT A60 & A70. MADE BY CANON. PICTURE OF ACTUAL ITEM. Stative & Zubehör. Unsere Ersatzdisplays stehen in Sachen Passgenauigkeit, Farbwiedergabe und Qualität Ihrem originalen Display in nichts nach. Panasonic FH7 / DMC-FS22. Alle Displays wurden exakt für den 1:1 Austausch entwickelt und produziert um Ihren Displayschaden einfach und simpel beheben zu können. Stative & Zubehör. Nikon S4300 / S4200. Alle Touchscreens wurden exakt für den 1:1 Austausch entwickelt und produziert um Ihren Touchscreenschaden einfach und simpel beheben zu können. Demontieren Sie einfach Ihr altes gebrochenes Touchscreens und ersetzen es durch Ihr neues Qualitäts-Touchscreen. Canon IXUS240HS / IXUS245HS / IXY420F / IXY430F / ELPH320. Stative & Zubehör. Unsere Ersatzdisplays stehen in Sachen Passgenauigkeit, Farbwiedergabe und Qualität Ihrem originalen Display in nichts nach. DIGITAL REBEL T3i. CANON EOS 600D BLACK BATTERY COVER. EOS KISS x 5. MADE BY CANON. Pulled from a working PowerShot S3 IS. JUST THE LCD PANEL. NO BACK LIGHT WITH LCD . GENUINE SPARE PART. SD CARD SLOT & SD OPERATION PCB. MADE BY CANON.